CNE (the Canadian National Exhibition, also know as The Ex) ends with the labour day long weekend. 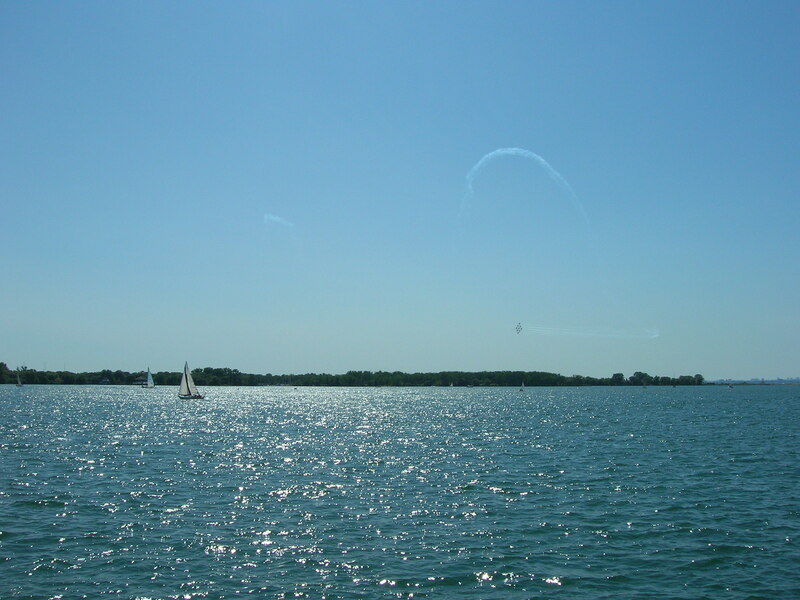 Part of that weekend is an air show featuring the world renowned Snowbirds, the Canadian Air Forces bombers. You can see them close to the horizon line in this picture. Listen to their sound in the player (duration: 23 seconds). Posted in English podcast and tagged as CNE, snowbirds, sounds, Toronto.